A true story of love, death and reincarnation of a beloved cat. Happy #Caturday! 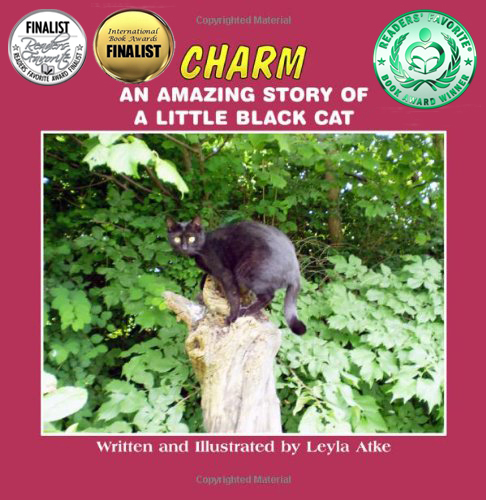 Here is how looks the new book cover for Charm: An Amazing Story of a Little Black Cat by Leyla Atke #Books, #ReadersFavorite. ← Happy #Caturday! My amazing aunt just did that for me! #Books, #ReadersFavorite. Visit Leyla Atke's profile on Pinterest. Grab #Charm for #free on #Amazon! #cats, #readers, #books, #reincarnation, #animals.